20 years ago today was the scariest day of my life. 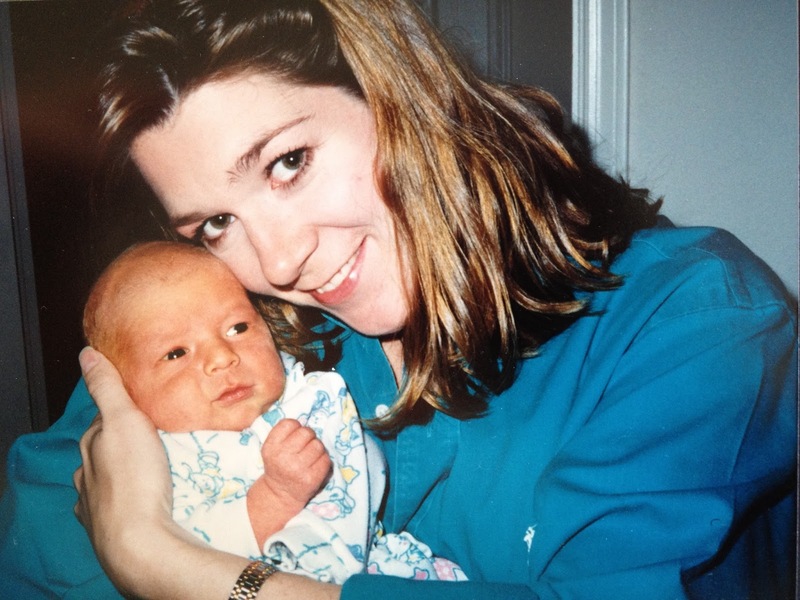 On February 25th, 1996, a precious little boy was born. His parents named him Zachary Paul. He was wanted, loved and cherished ~ to this day he is still is, but 20 years ago today was a scary, scary day in the life of his mama. I am his mama. Just one day after giving birth to this baby boy, who was born five weeks early, both he and I were discharged from the hospital. A little life now depended on Stan and me for survival. And the hospital was not only letting us take this little creature home, they were evicting us…telling us it was time to leave. So, Stan and I did what ever parent since the dawn of time (well, at least since medical insurance decided that the delivery of a baby was only allowed a 24-hour stay), we loaded up our little jaundiced bundle of screaming, peeing, pooping, crying joy and headed home. I had no idea what to do with a baby of my own. Sure, I had baby sat before, but I was always able to give the baby back to someone who knew what the heck they were doing! How on earth did a hospital full of responsible adults ever think it was a good idea to let me leave with this baby? How on earth was I supposed to stop him from crying? How was I supposed to change his diaper without him peeing all over me? How was I supposed to make sure he thrived and survived? What if I broke him? Oh, gawd help us all! In those first moments home with our baby, Stan and I looked at each other, each hoping the other knew what they were doing. Not so…we bumbled through the first days, weeks, months and probably even years trying to figure out how to make this parenthood-thing work. In the 20 years since that day, I have to say I’m pretty sure Stan and I learned the ropes of parenthood. It took a ton of blood, sweat and tears, both ours and the kids. We learned each of us had strengths and weaknesses. It was trial by fire, but we figured out how to divide up parenting responsibilities to suit our strengths and dilute our weaknesses. For example, we realized it was not a good idea to put me in charge of blood and broken bones…so not my area! And although, it’s not my favorite, I did much better with sickness-related bodily functions. I took care of illnesses and Stan managed injuries. In all of the figuring out, learning and diving of responsibilities, these years have flown by more quickly than I ever could have imagined. Even though 20 years ago today was, without a doubt, the scariest day of my life, it was the best kind of scary. If I were given the opportunity I wouldn’t hesitate to go back and do it all over again.